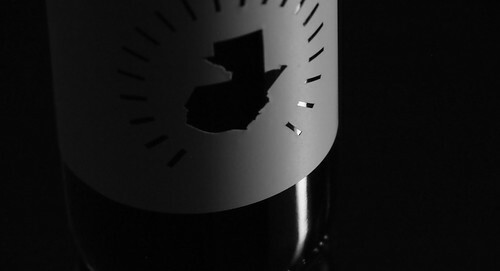 Ltd edition cold brew bottling of Buena Esperanza Alfaro coming this Fall. I am about to travel to Vienna to hand deliver coffee to be used at the 2012 WBC brew bar. 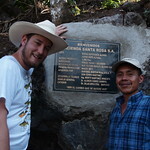 The coffee that I am delivering is from one of our very close producers in Guatemala, his name is Gustavo Alfaro Altuve. The relationship we formed with this producer happened very organically, and we feel it is a testament to the vision that barismo has always had for quality and authenticity in what we produce. We feel very honored to present to you a sample of our recent harvest from one of our premium lots; Buena Esperanza Alfaro one of the winners of the recent Guatemala CoE competition. With this coffee, we would like to share with you the work and commitment of four generations of my family as well as the hope for a better future from all the people that work with us at the farm. The small sample of coffee that we are sharing with the coffee community at this high level event is something we are quite proud of as a micro-roaster and as a community focused business. For our local community, the cafes and enthusiastic customers who share our vision for excellent coffees, we are excited to be bringing you the Buena Esperanza lot this season. For now we would like to celebrate this milestone and share with you the story of the talented individuals who made this lot possible. 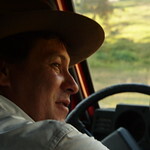 Although Gustavo Alfaro is a fourth generation coffee farmer, he is not your typical producer. Upon graduating from the University of Guatemala, Gustavo went on to graduate school in Chile and afterwards pursued further education and a career as a biochemist in South Africa. It was only within recent years that family events brought Gustavo back to Guatemala to take over management of the farm, Hacienda Santa Rosa. When Gustavo took over the family farm he brought enthusiastic new ideas to the business. High on his list of goals was finding a buyer who would share his values on quality and crafting the best product that was possible. Hacienda Santa Rosa Alfaro is located in the furthest north-west corner of Guatemala. 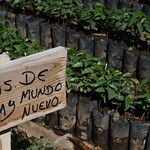 The Buena Esperanza Alfaro lot is located at the highest point on the farm at about 1800 meters above sea level. This specific lot has been in Gustavo’s family for many generations, however only came under Gustavo’s management just a couple of years ago when he bought it from his uncle. The lot had been neglected for nearly a decade with coffee trees and other vegetation growing wild. He obtained the lot for a very good price, however buying it in such shape was a bit of a gamble, it was uncertain what the terroir was capable of producing or what the existing coffee would taste like, he was hoping for the best. In that spirit of hoping for the best, Gustavo renamed the lot, Buena Esperanza, or Good Hope. The varietal analysis reported that the lot consisted of Mundo Nuevo, a hybrid varietal that is commonly grown at lower altitudes in Brazil. However it unheard of to grow Mundo Nuevo at high altitudes, or to even see it grown in Central America at all. Fortunately for Gustavo (and us), this Mundo Nuevo lot tasted excellent. Enthusiasm and hard work has sustained the production at Hacienda Santa Rosa, it has also made the operation ready to make the most of the opportunities that come their way. At barismo we feel proud to work alongside a producer who is as passionate about improved quality as we are. We congratulate Gustavo for the recognition he received at the 2012 Guatemala CoE for his Buena Esperanze Alfaro lot, and as a partner we look forward to working on even more micro lot projects with the vision of seeing the coffees at Hacienda Santa Rosa improve year after year.